Pizza seems to be its own food group here in the States, and every city has a plethora of pie joints. And while Charleston has an amazing restaurant scene, pizza is always a feel good meal. Steel City Pizza offers not only pizza, but also weggie sandwiches, salads, calzones and authentic cheesesteaks. 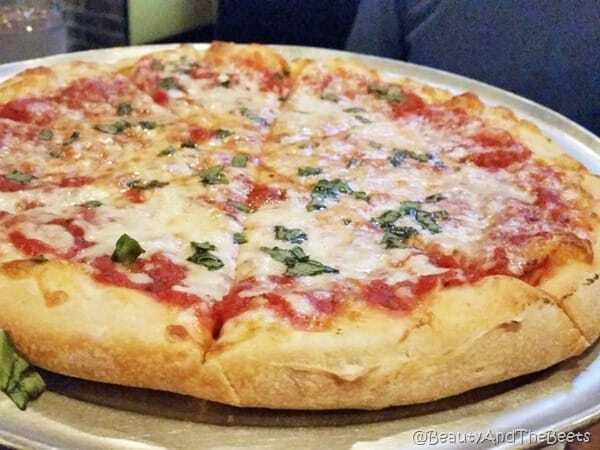 We love our pizza on the simple side most of the time, so we ordered a cheese pie with fresh basil. The thick crusty pie is crunchy and well cooked throughout. I always worry about thick crusted pizza not being cooked enough in the center, leading to a doughy pie but that was not the case here. I also tend to like a thinner crust, but Steel City Pizza did a great job here. 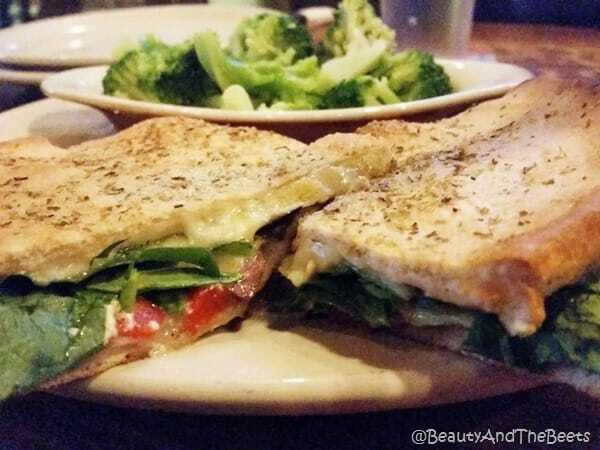 I really enjoyed our Veggie Weggie – baby spinach, marinated artichoke hearts, roasted red pepper, imported kalamata olive, feta, and mozzarella and provolone cheeses baked in a parmesan oregano crust and topped with a Greek & feta vinaigrette. We both loved how creative this dish was, and it is so simple I wonder why more pizza spots don’t make something similar. 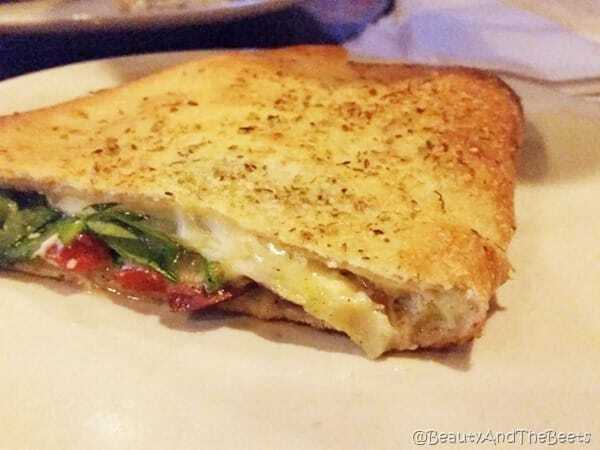 It’s just a pizza crust sandwich! The one thing I regret is not ordering dessert. They have a nice selection of cheesecake pizza and zeppolis. Amazing. Steel City Pizza has 3 locations – one in Mt. Pleasant and two in North Charleston. 4 out of 5 sprouts.